In this Age of Memoir, I guess we were due for one by a hotel clerk. 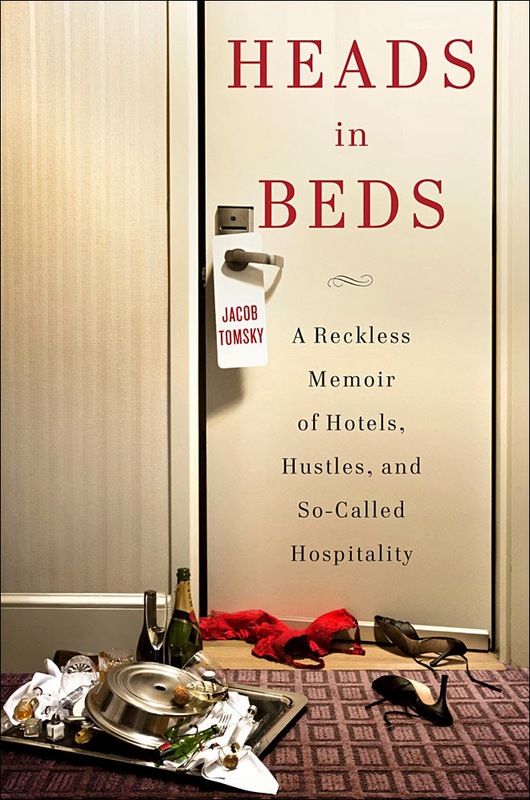 Jacob Tomsky's book focuses on his experiences working at two hotels: a luxury one in New Orleans and a Midtown one in New York. (All names have been changed, so there's no point stating them. He even changed his own name in the text to Tommy/Thomas.) In his introduction, he brags that he has worked in hotels for more than a decade and that he's probably checked us in before. Jacob/Tommy/Thomas promises to give the reader advice on how to get the best deal and the best service, which I will summarize for you: Tip the front desk clerk when you first arrive. This may get you a room upgrade, free movies, a late checkout time, etc. BOOM! I just saved you 240+ pages. Jacob/Tommy/Thomas has some decent stories about learning the hotel trade -- he started out as a parking valet, worked his way up to the front desk and later became a housekeeping manager -- but he comes across as an arrogant jerk, which made me like this book less. For someone who boasts that he has a philosophy degree and that he's wicked smart, he could be more philosophical in his attitude. I used to be a hotel clerk, so I could relate to some of his stories. But there was so much padding in the memoir that this would have made a better essay in The New Yorker. It didn't need to be upgraded to a book. One of the promotional blurbs on the back cover is from Elizabeth Gilbert, who wrote: "Jacob Tomsky is a star. The kid writes like a dream. Heads in Beds is hilarious, literate, canny, indignant and kind -- revealing an author who manages somehow to be both a total hustler and a complete humanitarian. I love this book. Keep an eye on this writer. I'm telling you, he's a star." I agree with one word in that paragraph: hustler. Tomsky is a hustler. He even uses that word to describe himself in how he hustles for tips from guests. When I started this book, I expected to give it a 4-star rating for Tomsky's fun hotel stories. But his arrogance and narcissism wore me down and I dropped this to 3 stars.